Yes, it’s true! 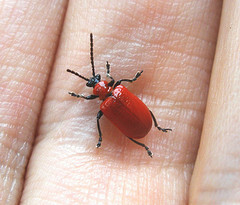 I won the war against the scarlet lily beetle, also called the lily leaf beetle (Lilioceris lilii), an insect that greedily consumes the leaves and even the flower buds and flowers of lilies (Lilium), giant lilies (Cardiocrinum) and fritillarias (Fritillaria). leaving them looking like they’d been put through a blender. They used to be my absolute worst garden enemy, the very bane of my gardening existence, but I haven’t seen one in my gardens in 3 years! And the solution was so simple! I simply pulled up and composted all my lilies and fritillarias! With nothing to eat at my place, the beetle has moved on to greener pastures, notably my next-door neighbor’s place where lilies still abound. I just wish my hammock was high enough off the ground so I could see over the fence and watch as she bobs up and down, squishing and spraying a good hour every day. I’ve already suggested she stop complaining, make a laidback gardener of herself and, especially, cease feeding her enemy, but she insists “it really isn’t all that much work”… then continues to complain. What is the Scarlet Lily Beetle? It’s actually quite a beautiful creature: elongated and bright orange-red on the top, with a black head and a black underside. Originally native to Europe and Asian, it was accidently brought to Montreal in 1942 where it seems to have spent a good 50 years acclimating, then suddenly began to spread back in the early 1990s. It is now widely distributed through New England and all of Eastern Canada and continues to spread. If you don’t have it yet (lucky you! ), you probably will one day. The most effective method, but… you have to go about it every morning, as early as possible, while the beetle is still a bit woozy (like most insects, it’s often lethargic early in the day). If you start too late, when it’s more active, it has the annoying habit of quickly dropping to ground when it sees you coming and turning on its back to reveal it black underside. It then plays dead, making it almost impossible to see against brown earth. When you do catch one, you can either squish it in your fingers or drop it into a pail of soapy water (I find squishing to be sensorily more satisfactory, buy perhaps that’s just me). And you have to do the same with the disgusting larvae (they cover themselves in their own feces, just to discourage gardeners, I’m sure!). And also go over each plant leaf by leaf, turning the underside up, so you can see and crush the orange eggs that hide there. By dint of repeating these actions day after day, the population will eventually decline, but, just when you think you’ve won the battle, the second generation of beetles flies in and you have to start all over. And yes, there is even a third generation at the end of the summer! 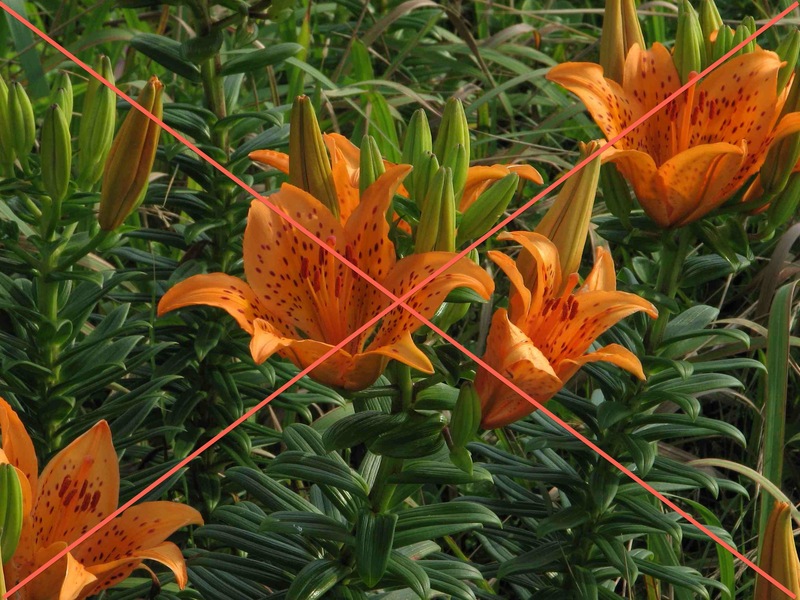 If you keep hand picking, you can at least keep your lilies relatively intact, but… what an effort for a just few flowers! I was told that coffee grounds were perfect tool for discouraging lily beetles. Just spread them around the base of your lilies, they said, and the odor of coffee will keep the beetles away. Result: a total flop. Not only did the beetles carry on chewing on my lilies as if I had done nothing at all, but now my beautiful scented lilies all smelled like coffee… and I hate the scent of coffee! On the advice of various gardeners and (former) friends, I tried planting garlic, onions, and pyrethrums near my lilies. The lily beetles just laughed at me. I think I tried everything that wasn’t either illegal or insanely toxic (like home-brewed nicotine spray, which can kill you quickly and painfully if you accidentally absorb it). The list includes rhubarb leaf spray, garlic spray and hot pepper spray, with or without added soap to make them stick. The results were mostly abysmal. I simply saw no difference. Neem oil was the most effective spray treatment. By treating every 4 or 5 days, I seemed to get some control. Insecticides that included pyrethrum, a natural insecticide, also worked… for a while. I had to apply them daily for results. Insecticidal soap and dishwashing liquids worked too, but only if they actually touched the insect. And more daily sprays were required. In all cases, I had to repeat the treatment again and again… and I have other things to do with my life than spraying insecticides. Moreover, I was (and still am) very concerned that I might be killing beneficial insects (such as bees) as collateral damage. I really got to test this one, as I live in a very cold climate. I’d been told that since lily beetles overwinter in the ground, when it freezes to great depths, they’d be killed. Well, if they are, more fly in from somewhere else, as there are plenty of them here after even the coldest winters. Last winter, we had over a week at -22˚C (-30˚C) and the ground froze solid to a depth of 7 feet (2 m). Yet I can still see my neighbor hand picking lily beetles every single morning, rain or shine. Although I’ve given up on lilies (and fritillaries) for now, I still have hope for the future. 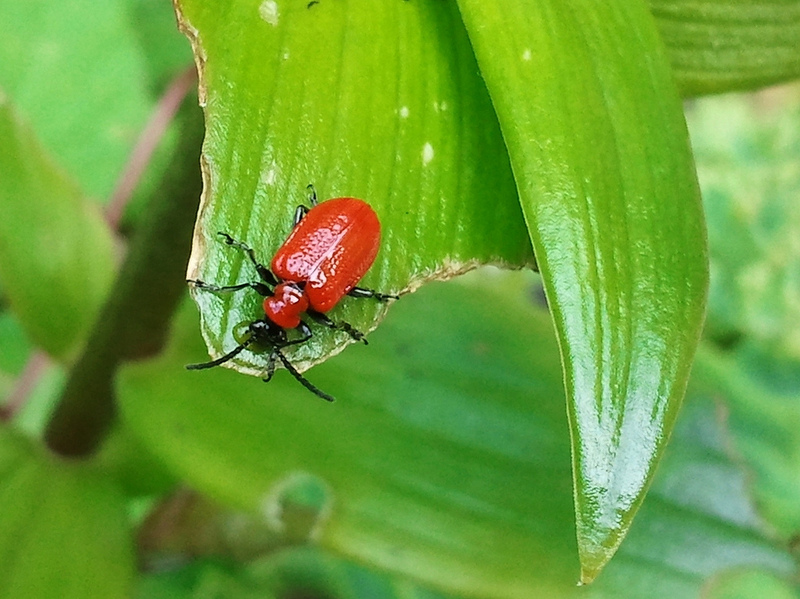 There are natural lily beetle predators in its native Eurasia and at least two are under investigation in Rhode Island (which has a massive cut flower lily industry) to see if it introducing them into North America would be appropriate. If so, and if lily beetles went from being a scourge to only an occasional annoyance, I could live with that and would definitely plant lilies again. But that’s still years away. Daylilies: the low- to no-care lily substitute. 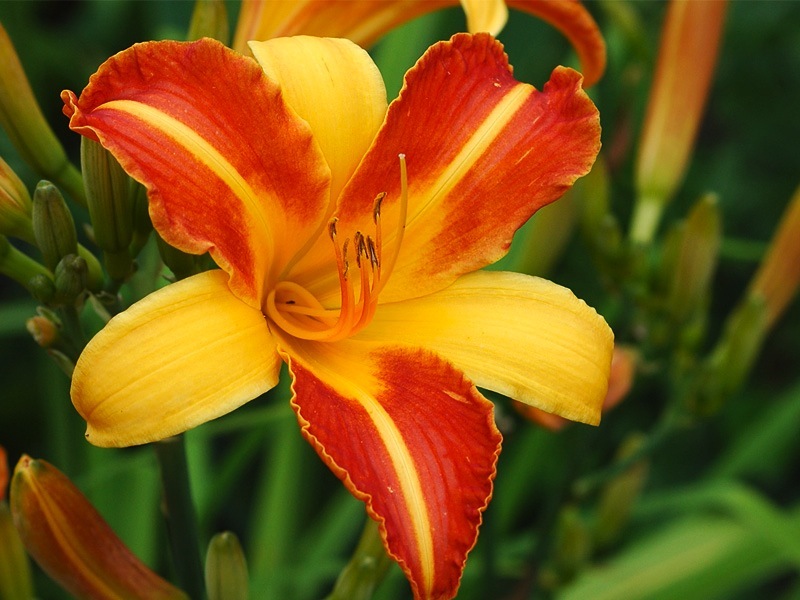 Mostly I have simply replaced my lilies (Lilium) with daylilies (Hemerocallis), which, in spite of their name, are not close lily relatives. Their flowers resemble those of true lilies, come in a wide range of colors, and they are easy-to-grow and very hardy (to zone 3) perennials. And long-lived at that! A real laidback gardener plant! I occasionally receive bonus lily bulbs when I order plants by mail. They go straight into the compost pile. Planting them would just invite lily beetles back into my yard… and I wouldn’t think of offering such a bulb as a gift. There is no one I hate enough to send such a lily bulb to. 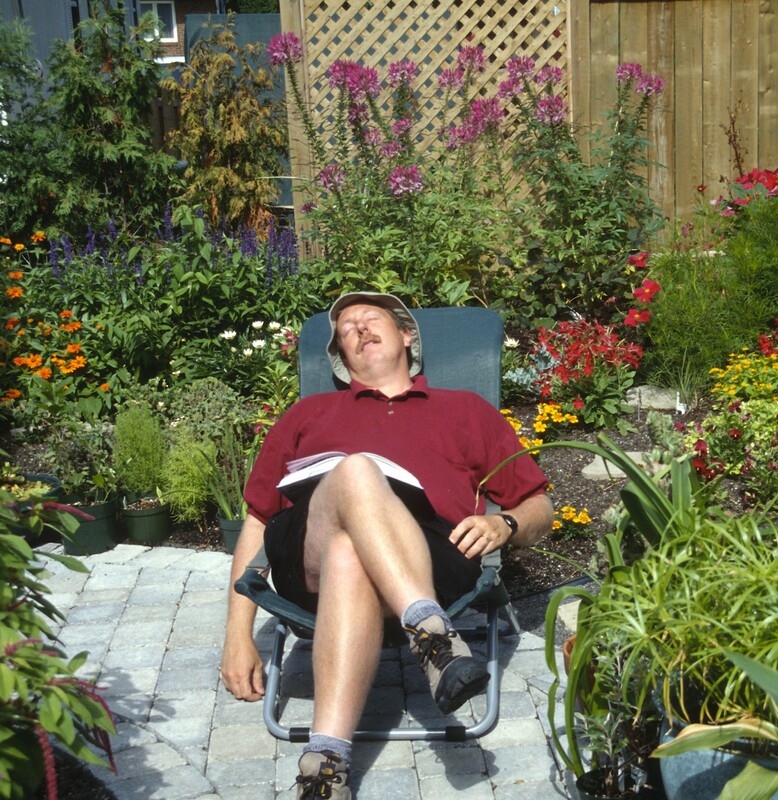 No, it’s over for me: I want to enjoy my garden, not work on it constantly. I’ve had it with lilies. Long live the daylily!